I am Dharini, a Software engineer a reader of ur blogs. Have been thinking of writing to you for knowing you as a singer and a multitalented personality.. But this mail is gonna be one out of total frustration. I have recently shifted to work n live in this DIRTY chennai in an area called Ekkatuthaangal. I agree, in bangalore also ppl spit on roads.. behave as though they dont care a damn abt others..
but this is worst in chennai... they Spit, urinate smoke and wat not.. :'( its sick ya.. where are the rules gone?? why was there a fine mentioned for all these things?? Only on papers..???? totally unbearable.. I am not sure if this is the case with other parts of the city. But living here for 5 months I am repenting on the fact of why i chose to shift to chennai.. If i say dont spit,, they just stare and walk away... as u had said. its the expected reaction.. but who else is bothered.. everyone is ready to live thick skinned..
Rather I would like to be tolerant to their typical reactions and keep on saying them not to do these..
huh.. I just cant imagine wat if it rains heavily and wash all this into the houses!~!!!!!!!!!! Just din know who to tell this to.. and being a regular reader of ur blog, thot wud write 2 u on this..
Any new place or home or new people will be difficult for us to adjust, It will take some time (for some people weeks, days, months, years). so bear with that time . slowly u will start enjoying chennai. Imagine sonia ghnadhi, she lived in Italy which has clean roads, controlled driving, traffic, neat politics, when she is able to adjust in India why cant you and me. always dont first see negatives. Fault finding is the most easiest job in the world and that job does not require any formal qualification. To Mr Kuppan: With all due respect, I think the time has come when people like you stop asking us to adjust. WE DO NOT have to adjust to crap. We need to change it. If you can aid that we ll be happy, if you cannot please do keep your views on adjusting out of this blog. I am not going to propogate adjusting to crap. As for Ms Sonia Gandhi, neither her nor the countless politicians in this country could change it to be like developed nations overnight. Somehow, you sound like most of the lackadaisical people of this city who has allowed it to be criticized and continue existing, since I dont consider that most of us are living here. Yes kuppan yahoo.. I will move out if this gets on my nerves often.. thanks for that piece of advice.. I wud wish no one calls chennai singara chennai anymore.. I had made the decision of coming to chennai with all the positives u have stated..
Is it ok if certain places where the VVIPS's stay is neat clean and posh.?? Cant there be some fund for setting up and maintaining restrooms??? Qtns n qtns.. no answers.. Pls help me finding some..
why shud i be paying the taxes properly! to adjust and give away freebies to ppl??? It is definitely disgusting and I can quite imagine how difficult this would be for you. Having lived in this city for the 24 years of my live that I have lived on earth and calling myself a true chennaite I felt completely ashamed to see your letter. Anyway coming straight to the point,working in the social development sector for 2 years now,I have heard of many NGOs doing some good work.I have recently heard of this NGO called Propel Global,and coincidentally I am meeting them 2mrw. You can reach me on av.anusha@gmail.com to know more on this NGO and to work with/for them in their initiatives. Only when the society acknowledges the fact that personal hygiene and a clean environment are essential to its long-term survival and prosperity, the progress starts. Take the case of Singapore. Mr. Lee Kuan Yew (founder of modern Singapore) started his nation building by stressing on these two factors. We need good leadership at every level. Unless educated and sane people come forward and take responsibilities I do not think there is any better future for Chennai in terms of cleanliness. Yes you are right, why must we pay taxes unnecessarily ? our govt is not taking any steps to use the tax money in a proper way! And about setting up restrooms, those who are stupid enough to urinate in the open now will continue to do so irrespective of the availability of restrooms. i have actually seen amny urinating right next to a restroom. I frequently travel by train and you must see the amount of garabage in each compartment and of course the platforms! and to top it, the corporation does not provide proper cleaning equipment. I once saw a small boy(around 12 yrs) cleaning a wall full of spit at nungambakkam station with bare hands. When i asked him about that he replied that this was the only way to earn money! IMHO, unless the corporation is ready to help others who have similar interest in actually beautifying chennai, nothing much can be done. When I was there in Hyderabad, Hyderabad Municipal Development Authority[Now GHMDA - Greater Hyderabad Metropolitan Development Authority] had constructed rest rooms for a distance of 5 kms each and I think the same can be implemented here too. Can we not propose a request to Government? If not can we not put out some money and request any NGO to complete this activity? I am just suggesting it. I want views from you people also. I had seen many people speaking about positives of Chennai. Dont you think the negatives present in Chennai also to change so that Chennai would be the best city to live in? Actually I don't really like Chennai on Cleanliness perspective[Eventhough there are many programmes launched by the government with foreign colloborations and so on:(]. Its been just 2 months now after I shifted here. I worked in Bangalore and Hyderabad[almost 2 yrs] and I could proudly say that Hyderabad is one of the best cities to live in. But still I want to be in Chennai because this is were my heart lies. I very much agree to Dharani, i too moved from blore to chennai very recently. "Marina Beach,FM la tamil songs, Sathyamla new release movie ,Sambar Idly, Kabaleeshwarar kovil " My to do list was piling bfore i packed from blore. But all went off so soon. I do agree that everywhere we have the problem of traffic or cleaniliness but the Biggest Qn is why noone is bothered? Its not possible to open the windows in evening and sit in chennai..i regularly donate blood to mosquitoes. I am quite used for driving in blore traffic, but i am very scared to cross Arunachalam Road itself. their kids drive their own vehicle. to live in ? Its not just enough if we name it "Singara Chennai" , we shud be ready to put hands together to make it really a Singara Chennai. I come from the area mentioned by Dharini and I had already written to Chinmayi when she did the show with the coorperation Commissioner. Yes, we need to work to make the change and cannot live this way any more. Why should I? I pay my taxes and why should I put up with this rubbish? TASMAC is another of the pain areas and I hope Dr Anbumani does some serious thinking with the Govt to stop it or move it out of residential areas. Hi Dharani, It is definitely disgusting and I can quite imagine how difficult this would be for you. Having lived in this city for the 24 years of my live that I have lived on earth and calling myself a true chennaite I felt completely ashamed to see your letter. Anyway coming straight to the point,working in the social development sector for 2 years now,I have heard of many NGOs doing some good work.I have recently heard of this NGO called Propel Global,and coincidentally I am meeting them 2mrw. They have a beautiful mission and one of their activities is neighbourhood participation.I am going to meet them on the same regard.Go through this link http://propelglobal.com/products.aspx You can reach me on av.anusha@gmail.com to know more on this NGO and to work with/for them in their initiatives. dharini: fair enough.. why some areas are clean and some aren't/... for example I have seen Poes Garden cleaned by a bevy of private cleaners. Not the corporation.. So I presume that the residents of that area have pooled in to keep their area clean. Probably we should learn from that. Rahmaniac: Next time you see that boy, please let me know where he lives. And your point is noted. Aahaa Fm is going to be backing me on this as well... so we would need the hands..
Jayamurugan: Yes this place is not clean and also has a record number of rude people who tell you "rule paesadhe". The thing is perhaps we could form an NGO ourselves and get working instead of asking someone else to do our work. Sundari: Do call on Aahaa Fm tomorrow, shall take up your concern. so its all agreed that Chennai mayor (Mr.Ma.subramnaina ) and commisioner (Mr.Rajesh Lakani) have not done their job properly. Are we ready to vote against them in the coming parliment elections to pass messages. we educated people do not cast our votes and blame about politicians. u r an awesome singer! but how is that your voice is different when you talk and sing! i asked that question the first time i saw him. he stays either at nungambakkam rlwy stn or at kodambakkam rlwy stn. I have seen him just around 3 times in the past 3 years at nungambakkam. But unfortunately there are lots and lots of small kids like him doing such work everywhere. One time travel from tambaram to beach would give a very good idea about that :( hope something can be done to bring about a change. Are you one of those who would turn your face and walk away when another man is urinating by the road side? Are you one of those who would turn and walk on another path when someone spits in front of you? Are you one of those who would continue reading his newspaper or talking over the phone when there's a child doing his dirty business on the streets? Are you one of those who spit and urinate on the streets? I sure bet you are! Otherwise you wouldn't be telling the others to adjust with all this nonsense. Mr Kuppan, if you want to bring yourself down to the lowest level and live with it, by all means go ahead and do it, but DO NOT expect everyone else to tolerate irrational behaviours like yours. If you are already working, do you pay the exact amount of taxes to the government that you should be paying? If you have been paying your tax like a responsible Indian citizen, you would expect to live life like any ordinary educated man would want to. but if you don't then you just dont deserve it. Indra Gandhi and Rajinikanth dont have to walk on the street like normal ppl have to. and there's no point talking about them as an example. two famous ppl cannot do anything for a country that is infested with ppl like you! All they can do to improve the situation is to throw ppl like you out of the coutry, which they obviously havent done because they are considerate. otherwise you wouldnt be living in Chennai right now. the best solution for the problem that rational ppl in chennai are facing now can be solved easily by getting rid of irrational ppl who think it's all up to the politicians, which is ppl like you again. dont ask if you are ready to vote against the mayor and the commissioner and point your dirty little finger at them. are you ready to be civic minded in the first place?! there are thousand times more ppl than politicians in the country and city alone. if regular resident like you cant give a damn about it, what can the politicians who are outnumbered do? You know, I am not an Indian in the first place. but because i know my roots are from India and because i've been to India more times than you would have ever considered Indian as your homeland, i care for India. I am more patriotic and considerate for a country which only comes second to me than you. Dont expect things in movies like Mudhalvan or Indian to happen in real life. wake up will you! this is real life that we're talking about! Chumi: Lets keep discussions as dispassionate as possible, though it might be tough. Arguments of this level have not helped before and we probably cannot expect it to as well in the future. I should be getting to work soon with the help of some people. Long story short - I think we should start with ourselves, do our part - whatebver we can, to help the situation. Its foolhardy to expect a perfect world. Perhaps we can adopt one neighbourhood, showcase it as an example - when multiple such examples come up, the city will change...gradually.. And thats really what it is. As far as 'Chennai stinks' is concerned, so does Bangalore, so does Bombay and lets not even talk about Delhi. When you undergo change in life, you must adapt (I dont want to use the word adjust and be thrown out of this blog :-))... There is just no running away from it. In your case, Dharini, you must be woman enuff to face it and adapt. 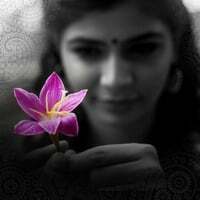 BTW, Chinmayi - The supersinger show is not the same without you!! I highly value your concerns and frustartion about Chennai. To quote a smal example now Alandur, madippakkam, perunkudi panchayaths have banned plastic carry bags usage. carry bags block the drainage, add the garbage. The panchayaths fine the small traders, shops who use carry bags, but the same panchayath got money from Relaince Fresh, More, Bata, Naidu hall and allow them to use plastic carry bags. so the problem starts with pachnayat presidents, mayors who all politicnas. Those politicians are elected by you and me only. so in the coming election as a voter (decision maker) let us cast our vote to the right candidate and let us cast the vote at 6 am itself. Being an architect and living in dubai,a song of Mr.Rahman(film:desam) really made me plan back to my country.Thankyou Rahman. At first,let we ourselves stop spitting on road,lets stop trowing papers around or anything that spoils the environment. Second,Lets try to apprciate people who tries to keep the environment beautiful,lets try to appreciate a person who throws papers into garbage bins or atleast a warm smile. Third lets try to educate our own friends ,family and relatives to do so. Hope things will change drastically. Last but cannot be ignored lets try choosing a person who really cares for the country as our MLA or MP. May peach be upon all. i first told him that it wasnt cool, and he should atleast throw it along with other garbage items,if he were so lazy to find a dustbin... he just said this is india, not america, and walked away. but the message was loud and clear... now he looks here and there, sees if i am around, and then throws it. i see the cup half full. i hope he realizes his mistake eventually. 1. chinmayi, the movement has to start with kids, i bet you are in touch with some folks in schools and event managers of schools.. so please make it a point to mention in your speech/ performances in schools to let kids know its not cool to spit or throw garbage. 2. dharini, the movement has to start in small numbers, u said u r a software engineer. if u can convince ur hr manager that you would like to talk to ppl in ur office, and let them know what an important thing clenliness is i bet HR managers would like to help out. plus make sure that you include the office peons and house keeping staff... they tend to have a farther reach among the working class, and they would be more helpful in reaching out to many more people. I will be happy to be the part of to be formed NGO. stop speakin.. start doing.. of course a buch of ten twenty people can't make an appreciable difference.. hey chinmayi.. call for a chennai cleaning day.. a sunday when everyone is free.. let all citizens clean their own area.. maybe tat ud make a difference..
2. Dust bin more accessible for the people. A dust bin for every 1/4 km, in most crowded public area. One dust bin in bus, train near the exit. 3. A hoarding board with some attractive advertisement for the clean city campaign on the wall where people urinate and spit the most. I think this will make a bit difference than writing on the wall. I currently live in Toronto; they have a cartoon hoarding in the train, a man throwing garbage inside the train. Other people standing beside imagine him the pig’s face. People can never be blamed. It is the system that needs tuning. Hey Chennai is awesome! No place can be perfect. Perfect is boring. so embrace the imperfections of the wonderful city and soon you will be able to see what an amazing place it is! Politics stinks every to other sphere of life. More so politics of the Dravidian variety. Firstly ensure you vote on the D-day this general election. Do not vote for PMK. Do not vote for Congress as they have more leaders than grass root workers. Vote for BJP and remain a Nationalist. Govt of the day can bring about these changes and they are busy making money and nothing else. The pain for us (citizens) starts just after the counting day. So dont fail to excercise your right to vote in GE 2009. First I would say politicians,they keep their places and surroundings clean...they dont bother about other places where people live...Ofcourse the popoulation is high but if we educate people in the right way defly they will follow that..also govt has to insist some find for spitting urinating in pulic places...have to open more public rest rooms in many places atleast in all shops and petrol bunks..so that the public can use.shop owners can collecte minimal nominal rate..i dont think that exenora is taking care of the cleanliness...first thing is the politicians should take care of all the places and have to employe more people to keep the places clean and watch people ..if we all put our hands together we will make our mother india clean...what do you say? I could feel the frustration what Dharini is going thro'. Bcoz, I have gone thro' the same frustration :( with the only diff that I'm not an ALIEN to Chennai. I used to work in Tidel Park and commute by train. The most disgusting part is, the so called TECHIES doing the same in the train. Well, they are very neatly dressed and their strategy is ‘the moment you get into the train, buy some peanuts (rolled in a paper), finish, wipe ur hands (for sure) and finally throw it below your seat and continue doing this daily’. I often get pissed off by watching them doing this, YES bcoz Im used to keep even my bus ticket in the lunch bag and drop it in garbage box. The funniest part is THEM complaining about the cleanliness of the train in the next day morning. They give this weird look, if u REQUEST them not to repeat it. But I was not embarrassed at all, bcoz I have been slammed by lotta ppl in a harsh way than this (for pointing out smoking, spitting and urinating in public). It always makes me wonder (may be worried), how to educate ppl on this. So the next day in the train, I bought a peanut pocket, finish, open my lunch bag and keep the cover inside (like a demo :)) and close the bag. I was sure of them noticing me and hoping them to do the same as well. There are lotta yucky places than what I have briefed here. But there is a reason behind this – ‘Well educated, high tech techies spoiling the environment’; we always talk about educating the poor and illiterates about cleanliness. But here is the clear count on WHITE COLORED job guys too. …and coming to KUPPAN, I guess u gotta keep UR WHATEVER away from this blog. I’m also a Madarasi, we don’t have to defend (at any point in life) someone if they have a valid point for us to correct. You are not gonna achieve anything just by defending someone' valid point/view (which we are always used to). I guess you live in a nice, safe n clean environment. Well if you want to talk abt some nice places in Chennai or anywhere in the world, we have a lot, but Dharini has a request and needs help from ppl to keep the place clean (though she is from Blore). She is not like you ‘adjusting’, she is not just complaining – she wants to take some action on that (appreciate it). So my point is, if ‘…..triplicane parthsarathy, mylapore kabaleeswarar, the music acadamy, naradha gana sabah, the libraries…’ are the (POSITIVE) interests of Chennai, why can’t we make Ekkatuthaangal also to be in that list. Lets make Dharini’ wish come true. I appreciate Chin and anyone who has a positive approach on this issue. hats off to you for doing whatever u can, in this self centred world. im an avid listener to aha fm from 7-9 am and occasionally post a comment there. Id like to add one more lament to the plight of GH(GREAT HORRIBILIS) oops General Hospital. THe Sterilisation Department in the twin tower blocks are not able to function optimally due to the power failure, according to the operators there.